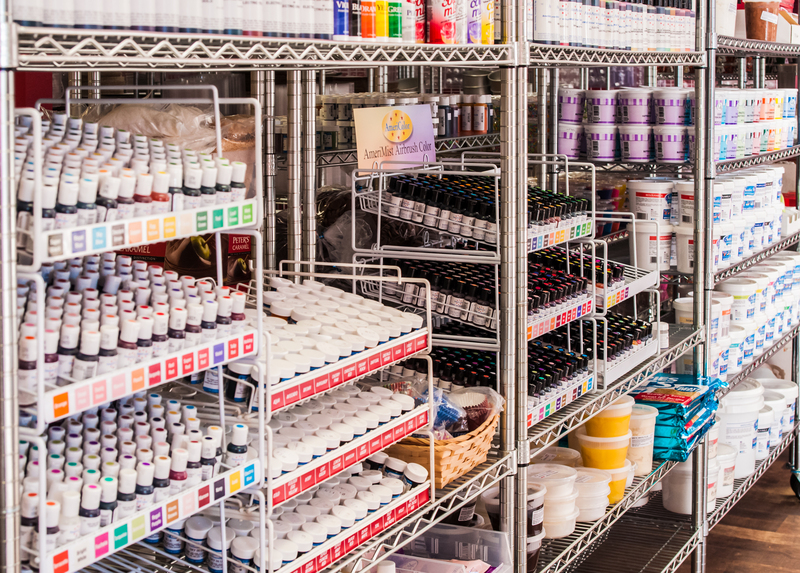 We do our best to have a wide variety of quality supplies for your cake and candy making. We have cake icing and cake fillings, as well as ingredients to make cake icing; we have flavor emulsions and flavored candy oils for giving your molded candy treats other delightful flavors. We have pans, pretzel sticks and pearls; cookie cutters, cake and candy colors, and cupcake boxes. We stock boxes for cakes, boxes for pies, boxes for candy, and sugary eyes. If you need a cookie cutter you just can’t find, keep in mind that we’ll likely be able to print one for you. Our turnaround time is usually 24-48 hours, but it may be longer for a more difficult cutter. 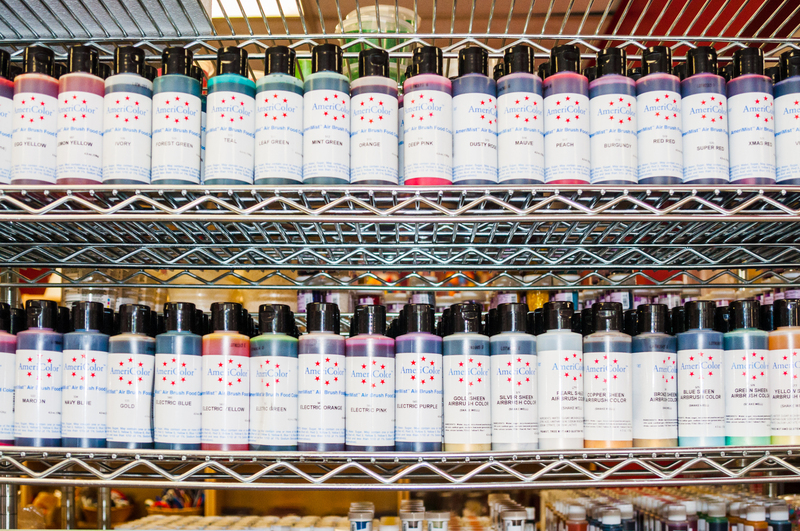 We carry a wide selection of food colors for your icing, cakes, cookies, and candy. These colors are high quality and far more concentrated than you will find in the grocery store, so a little goes a long way. We have walls of candy molds for you to browse to find just the right one for your theme or event. Of course we carry the candy melts, sticks, wrapping bags and packaging to make your candy treats beautiful. 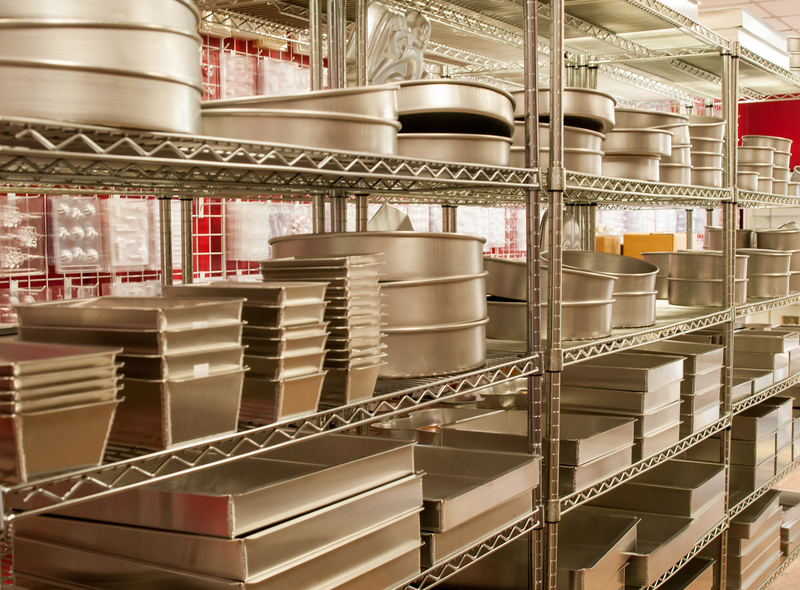 We carry the highest quality baking pans, and they are made in the USA! We also carry baking pans for cupcakes, muffins, bread and other items. 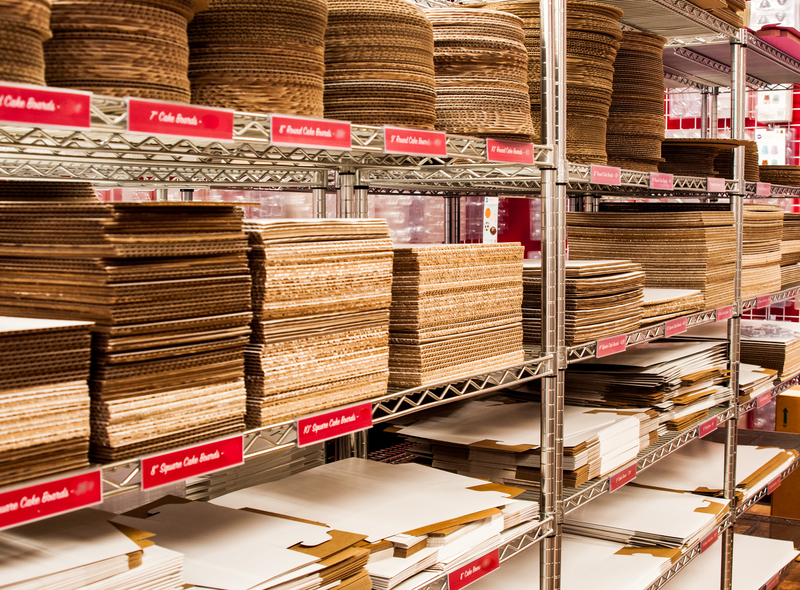 We have many cake boards and boxes as well as boxes for cupcakes, pretzels, cookies, and candy. We have hundreds of cookie cutters to choose from, and we are always on the lookout for more. Candles and cookie cutter sets are just of few of the basic items we carry to make your edible treats perfect. Our variety of high quality fondant cutters and tools will allow you to make amazing decorations for your cake projects. We have a wide range of colors and flavors of candy melts. They are easy to melt and use in any of your creative projects. We carry dozens of piping tips and accessories, plastic decorations for cakes and cupcakes, and we do our best to have seasonal sprinkles, decorations, and candy molds readily available so you can find what you need quickly and easily. We also know that decorating trends, techniques, and styles change all the time, so we are always looking for different items to carry in our store to help you make cakes, cupcakes, and candy that your family and customers will love.